The Restorative Groups Program at Arukah meets individuals right where they are in their social-emotional journey and provides practical group classes that help to alter destructive thought patterns and propel a healthier self. This program serves both adults and teens, and each series of classes revolves around helping individuals both become aware of self-tendencies and implement safe relationships, as we believe that these are vital for an individual to achieve their full potential. For Restorative Groups registration information and current course offerings, please see our Events Calendar. Adult groups are for both men and women ages 18+ and consist of individuals that safely journey together through a social-emotional study in order to learn and grow while encouraging one another and building accountability. These groups are led by trained professionals who specialize in group facilitation. What might one expect in our adult groups? One may expect to engage in a combination of video-based illustrations, workshops and group discussion. Confidentiality and anonymity are held in the highest regard and strictly adhered to. Boundaries – When to Say Yes, How to Say No. Take Control of Your Life. Safe People – How to Find Relationships that are Good for You and Avoid Those that Aren’t. Changes that Heal – The Four Shifts that Make Everything Better…and that Everyone Can Do. Hiding from Love – How to Change the Withdrawal Patterns that Isolate and Imprison You. Teen groups are for tween/teenagers 5th through 12th grade and revolve around building a cohesive group of teenagers that connect and learn how to process through natural physiologic, social-emotional changes they are encountering at this point in their lives. These groups are led by trained professionals who specialize in working with teenagers and in group facilitation and dynamics. Teens will learn the natural emotional volatility within their bodies and how to recognize their responses and reactions. They will learn ways to manage emotions in a healthy manner, as well as the negative impact of mismanaging emotions. The group format will help to build camaraderie for teens and will help them discover they are not alone. Confidentiality and anonymity are held in the highest regard and strictly adhered to. Boundaries was a class I really struggled with the first time I took it. I was a people pleaser and did everything for everyone. I had a really hard time telling people no, and when I did I felt guilty about it. This class helps teach you how to break that barrier. The purpose of the Heavenly Meditated Yoga Program at Arukah is to improve the social-emotional-physical health of individuals. We provide a safe space where people can take a break from busyness and find renewal on their yoga mat. We offer a variety of class types to meet diverse needs of the Illinois Valley. Classes typically include the components of meditation, breathwork and physical poses. Meditation focuses on concepts such as grace, love, creativity, and self-esteem and has been shown to reduce stress and improve concentration. Breathwork includes conscious breathing methods that reduce anxiety, lower blood pressure and increase energy. Physical poses enhance strength, flexibility, balance, cardiovascular fitness and tissue oxygenation, while reducing joint and back pain. For Meditation/Yoga registration information and current course offerings, please see our Events Calendar. Our general adult yoga classes involve a combination of vinyasa, restorative poses and breath work that will elevate your heart rate and enhance strength and flexibility. Classes are 1 hour in length and are taught by a licensed yoga instructor. These classes appeal to a broad skill level, from beginner to advanced, and instructors are adept at offering modifications of poses to suit different ranges of flexibility, strength and balance. Our classes end in a time of savasana (shah-VAHS-uh-nuh), which is a deep restorative pose that calms the brain and relaxes the body prior to participants ending their practice. Savasana has also been shown to relieve stress and mild depression, as well as lower blood pressure, thus we consider this time a critical part of every yoga class at Arukah. Arukah’s trauma-sensitive yoga is a specialized practice conducted in a 1-on-1 format to help survivors of trauma learn how the body holds on to traumatic memories and explore yoga poses that facilitate healing, freedom and release from their symptoms. This practice is taught by a licensed trauma yoga instructor and social worker. Trauma-sensitive yoga is practiced in a safe, non-judgmental space and participants learn how to establish an internal locus of control and regain autonomy over their bodies through breathwork and guided meditation. The goal is to help participants reconnect to their bodies in a safe way. This specialized practice is offered by appointment only. Please call Arukah at 815-872-2943 for more information. Just right for kids! Our kids yoga classes involve a combination of movement, songs, playful activities, and meditation to instill important virtues such as joy, patience, creativity, self-esteem, and self-control. Classes are 45 minutes in length and are taught by a licensed yoga instructor. We provide a nurturing environment where kids can learn and work into the poses at a pace they are comfortable with, as well as learn how self-regulate and be still or “sit with themselves.” Kids will also learn tactics to practice at home or school to help them cope during times of unrest, nervousness, or high levels of stimulation. Arukah’s kids classes end in a time of brief savasana (shah-VAHS-uh-nuh), which helps to calm their little brains and prepare them to move through the rest of the day. Prenatal yoga at Arukah is a specialized practice where participants explore techniques that prepare a mother’s mind-body-soul for all aspects of childbirth, including labor and delivery, helping women feel empowered during their birthing experience, overcoming fears surrounding L&D, and working through common postural issues associated with pregnancy. This practice will also help you strengthen all the right muscles, soothe your soul, and connect you with other mamas. Participants will (slowly) move into poses that are specifically great for pregnant bellies, safe for mama and baby. As posture and hormones change, prenatal yoga will bring you back to yourself with careful alignment and joyous meditation. Yoga offered at Arukah has been a perfect level for me to practice. I find the staff very welcoming and well informed. They allow me to modify all poses as necessary. I believe yoga is a great exercise for my ‘not so young’ body and incorporates balance and strength training [using one’s body as the weights] which research shows promotes longevity. I would highly recommend the yoga classes at Arukah to people of all ages. I absolutely love going to Arukah yoga classes! It is so amazing for your body and mind! I love that when I leave there I can take on the world! Arukah’s Suicide Prevention Program aims to eradicate self-harm and suicide in the Illinois Valley, which bears strikingly high rates of both, particularly in our youth population (ages 12-24 years). We use a combination of media-based programming and person-to-person interactive trainings to increase protective factors, healthy behaviors, and awareness, as well as destigmatize depression and mental illness. We have programming tailored towards teens, mentors/parents and community members. 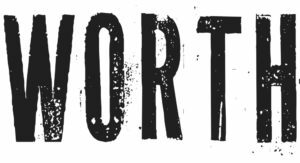 Our teen program, WORTH, targets what we believe to be at the core of mental illness in teens: low self-worth. This program consists of a video series produced at Arukah which features local actors from the Illinois Valley that are passionate about sharing messages of mental health with our youth. Videos use culturally-relevant and age-appropriate themes and elements to convey these messages in a way that teens can identify with. We address self-esteem, bullying, anxiety, depression, social media, self-harm, anger, failing and overcoming, and much more! In the 2017-2018 school year, we piloted WORTH in 15 junior and senior high schools, impacting over 2,800 teenagers every week! WORTH has helped me keep believing in myself and helped me get my grades up. It [WORTH] has helped me believe that I am not alone in this world and that there are people who can help you with problems. The overall goal of the Research and Validation Program at Arukah is to use innovative, data-driven approaches to both validate the effectiveness and outcomes of Arukah’s Restorative and Prevention Programs, and to develop novel technology that can measure social-emotional healing and restoration in humans. In short, the R&V Program ensures that Arukah’s programs are both relevant to community needs and have the desired impact on the lives of the individuals we serve. One aspect of this is developing and implementing technology that enables our clients to be both contributors and consumers of their own data. We believe at Arukah that individuals have the right to their own data, and being able to access markers of their progress along the way will enable them to take ownership of their healing and restoration. Our first development, app REstore, has been designed under this principle. Another aspect aims to facilitate communication between individuals and mental health practitioners, enabling a more integrated approach to treatment as well as providing a richer data ecosystem within which professionals can guide patient care. Our hope is that the democratization of data via our program will inspire individuals to take part in their healing and restoration, in knowing that they can literally watch their numbers change over time. Technologies that we develop are for every person of all ages and skill sets that has access to a mobile device or a computer. They are easy to use and will continue to be refined over time, keeping approachability and usability as paramount objectives. Please give us a try. We will be here to help you through the entire process. Together, we can journey towards your healing and restoration.